Lifestyle newborn photos are are sometimes hard to do decide on doing. As new parents to your first, second, or third child… those first few days and weeks can be hard. 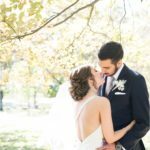 Inviting a photographer into your space and that time can be overwhelming. However, I have yet to meet a family that regretted the decision afterwards. Because now that moment in time that seemed stressful and hard, is now some of the most precious moments you’ll remember forever. And now their documented for you to look back on. It is an absolute honor and privilege to be invited into that special time.